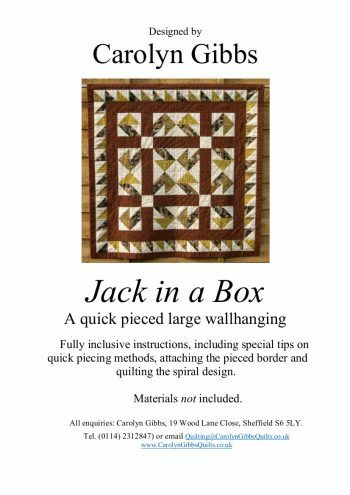 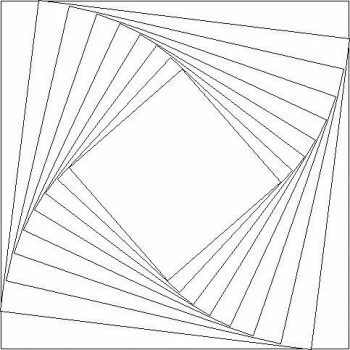 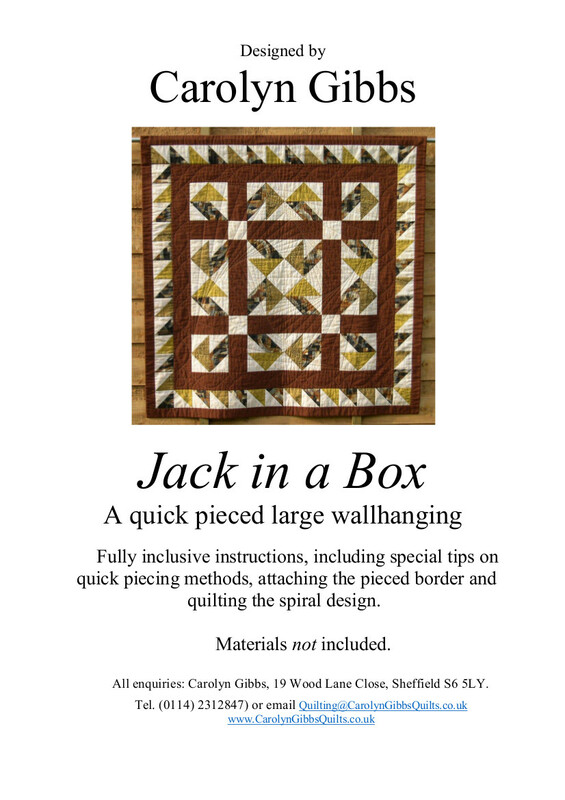 This “Jack-in-a-Box” pattern makes a lap quilt or large wallhanging finishing 45″ square. 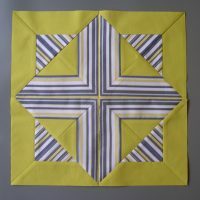 Choose your own colour scheme, based on Light, Medium and Dark value fabrics. 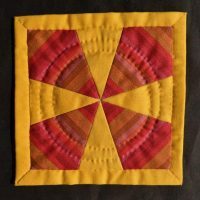 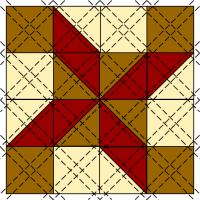 The four blocks are machine-pieced using intriguing quick-piecing methods, which create additional half-square triangle units as a by-product. 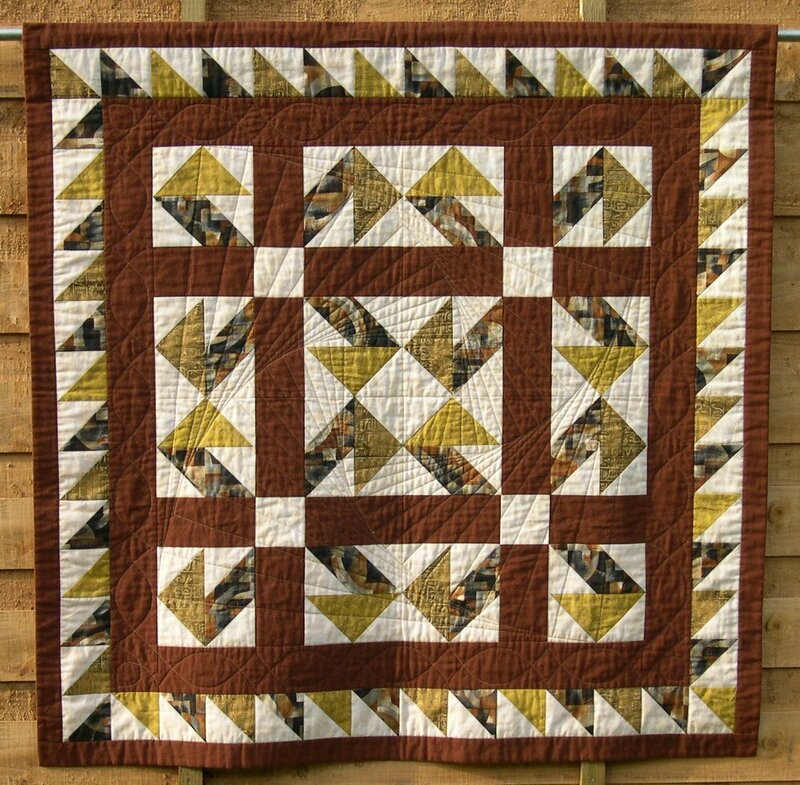 These are then ready to be made into a pieced border. 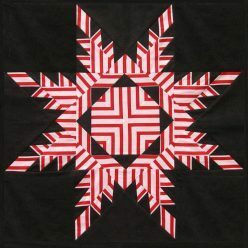 A swirling quilting design is included, which is easier to mark that it first appears. 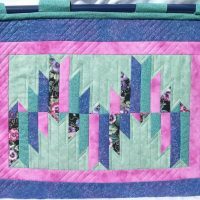 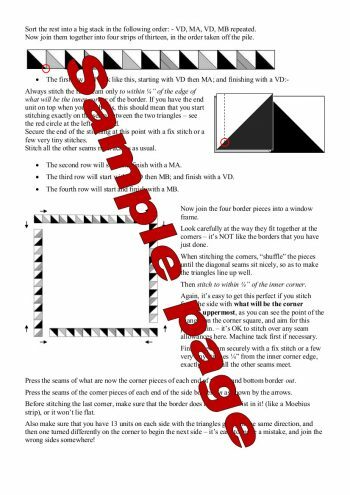 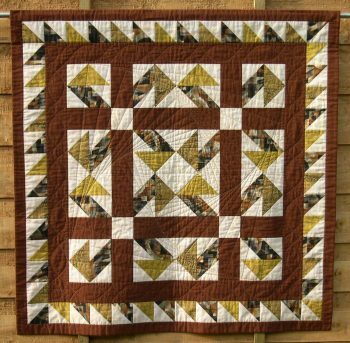 The pattern includes Carolyn’s tips on how to achieve perfect points, and how to make the pieced border fit perfectly, making this a good skill-builder project.